In a moment of brilliant insight, or maybe it was just the meds, I dunno, I ran to my box of various cobs and started rummaging through. Aha!! I knew it! A spare acrylic saddle stem from a Dagner cob! The brylon took a 6mm filter, the cob shank is designed for the same, would it work? It was a bit bigger than the inside diameter of the brylon shank but not by much, so I got out some sandpaper and started patiently turning down the tenon of the saddle stem. When it was just snug I worked it a little with some fine wetsanding paper to clean it up and fits perfectly. 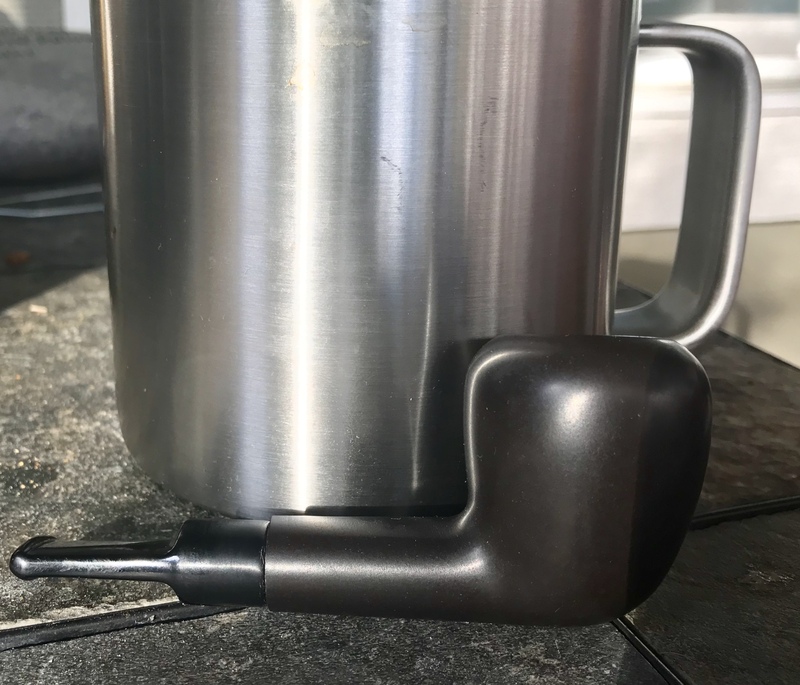 I am now on my second smoke with the new and improved brylon nosewarmer with comfortable and great smoking acrylic saddle stem and I’m quite pleased with it. A quick glance at the Missouri Meerschaum website and I’m not now seeing these bits. I’d bought a couple from them a couple years ago, they probably still have them since they still sell Dagner pokers (I think). I’m pretty sure I had to ask for em (I was putting them on other straight cobs, they’re much better stems than the stock bits and a lot cheaper than the custom forever stems). Anyhow, without further ado, the brylon nosewarmer. Cranking the Brylon vibes, nice job! Perhaps now you will smoke it more often since you upgraded the stem. I was actually thinking about sending my paneled one off to Norwood to convert it to a tapered stem. Same here, mine is made from nylon, and it almost feels squishy/waxy compared to vulcanite. Yeah I’m definitely going to be smoking it. I now have a basically indestructible compact pipe that I can carry around anywhere without worry. Even with cobs you have to be mindful of what you do with it, as the wooden shanks can easily be snapped off if you’re not careful. With this sucker I’ll just pull it apart and throw it in a pouch with a bic lighter, baggie of tobacco, golf tee (tamper) and a sleeve of pipe cleaners. It can go in my haversack for day hikes, my backpack when I’m hunting and fishing, even my work bag in the large car (Kenworth) for pulling out on jobsites. It will definitely get smoked, smokes good now. The original stem may be nylon, it’s soft like a Falcon stem, has some give. Problem is (for me, anyhow) it has its own taste and just clenching it I’m getting old stem taste. Now with the new stem all I taste is tobacco. 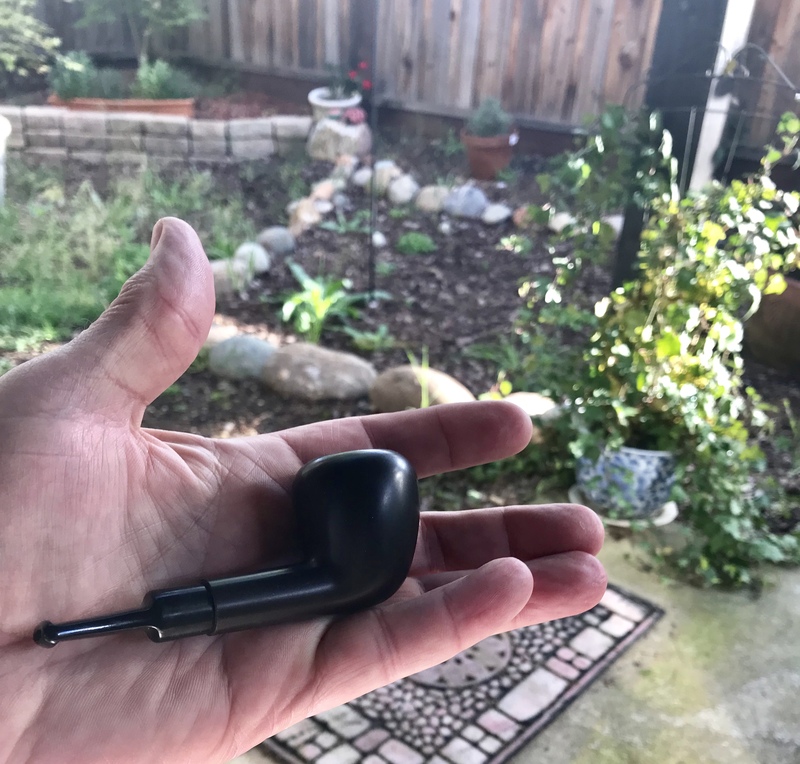 I have to say too that it didn’t smoke hot at all, no hotter than a cob anyhow, and it’s not heavy, especially now with that shorter stem on.